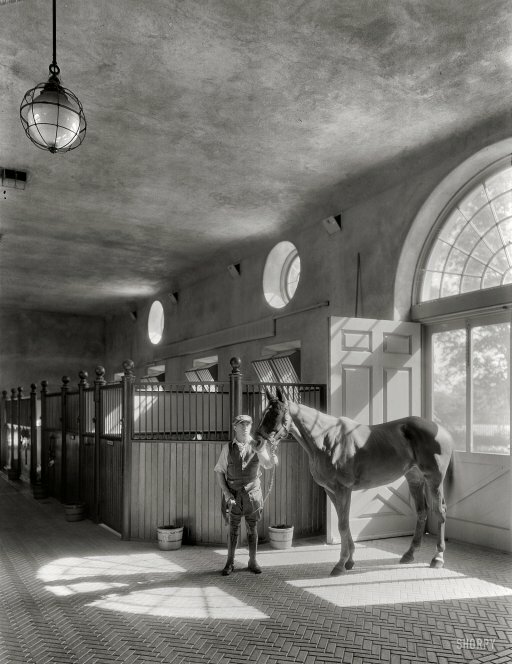 of old polo stables when I found this amazing photo. and a handsome hanging light fixture. of the photo and the exterior of the building. department store pioneer, built in 1922. It is now part of the state parks system in New York. 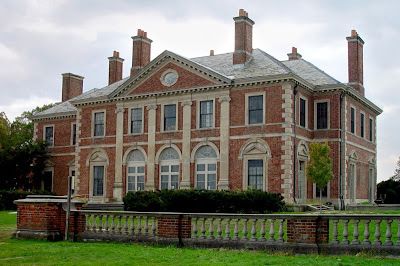 and became Caumsett State Historic Park. on a peninsula extending into Long Island Sound. meaning "place by a sharp rock." own water and electrical supply. and was originally much larger than it is now. most of the remaining buildings. I have never been there but it is now on my "list". please comment and let me know if it is worth a visit. 3. Photo courtesy of pbase.com, photos taken by James Robertson. Interesting post! That inside photo of the stable it beautiful. It would be an interesting place to visit. Thanks for sharing. I thought it was interesting as well. I'd love to visit there. 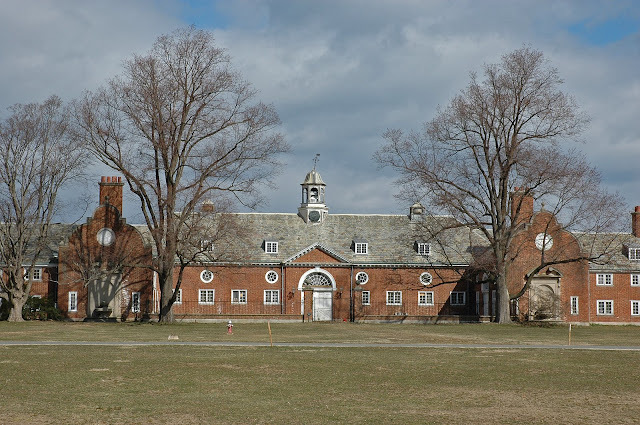 Oh my, this stables are fabulous and in the Long Island Sound....love anything in my home state! How are you aweetie and how is your Polo House, this days? The stables are bigger and almost grandeur than the home. I loved the period of history when all those wealthy people built such wonderful homes and stables. This was all before Income tax. see what the US Goverment did to us. hated it! I love this stable, that's when a dollar got a lot. Richard from My Old Historic house. This is wonderful. I love to go to Marshall Fields in Chicago on State St. It is now Macy's but I can't help refering to it as Fields. I would love to visit! That is one beautiful stable! Years ago, I bought at book called American Stables An Architectural Tour by Julius Trousdale Sadler,Jr. and Jacquelin D.J. Sadler. It has a lot of photos of old stables along with drawings and history. It is amazing the things they built back then for their beloved horses. Love the barn and to me, it's more beautiful than the house. Love, love the brick floors. I haven't been there, but it sounds like a lovely place to visit. The stables and the story are amazing. So interesting. To this day I still wish that Marshall Field's (the store) still existed. It was the best, I loved it. Mr. Field's has wonderful taste. Thanks for such an interesting post. Thanks for sharing this bit of history. This stable is so grand! Oh, how I love horses. I rode one at my brother-in-law's ranch in Oregon one time and it was so wild that it almost bucked me off. Your pictures are wonderful. Have a nice weekend. Hi Alison, today I am blogging at the kitchen table, it was a place with and inspiring view today so it worked. Love at things English hunt, when my son was 10 I did his room very gentlemans English quarters, this is when my much larger home was all English Cottage! I so miss the look sometimes. Keep inspiring all thing English Polo! it has a place in my heart!! What a fun way to learn about history! The floors are gorgeous so I can only imagine what the inside of the home looks like. It's a place I'd definitely like to visit.